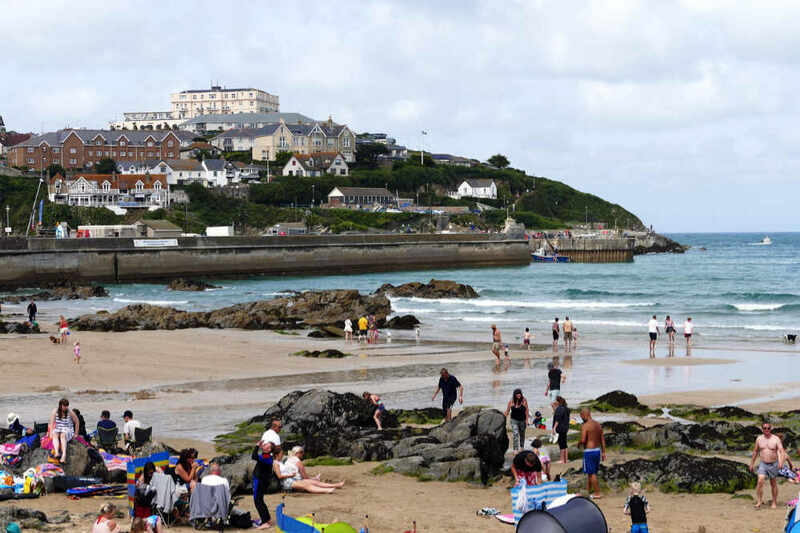 A Potted History of Newquay – A Little Slice of Holiday Heaven! You can rely on our monthly blog posts to let you know what’s going on in our pretty little town. But this time around we thought we’d go with the deep midwinter flow and talk about the history of Newquay instead. If you’re searching for things to do in Newquay for February 2018, there’s a really good list here on the visit Newquay site. The clue is in the name. Head for The Barrowfields near Trevelgue to see fascinating prehistoric burial mounds, once as many as fifteen of them, signifying long-term human occupation. Archaeologists have also uncovered charred cooking pots and a roughly-made pottery burial urn containing the remains of a Bronze Age chief, whose grave dates back an awesome 3500 years. But people have probably lived in the Newquay area for a lot longer than that thanks to its balmy climate, plentiful fresh water, rich soils and bountiful ocean. The first signs of actual settlement in the area date back to the late Iron Age, a massive hill fort that was also potentially a centre of industry thanks to abundant deposits of iron. Head up there and you’ll notice how good the natural defences were thanks to rugged Trevelgue Head. Experts believe the site was occupied from the 3rd century BC to the 6th century AD and you can still see the ramparts of the fort plus two early Bronze Age barrows there. In 1987 the remains of a Bronze Age village were uncovered at Trethellan Farm, overlooking the River Gannel. It seems things were pretty busy in our area, even way back then! Newquay harbour provided natural protection from the weather long before humans arrived on the scene. It’s no surprise that a tiny fishing village soon grew there, but it does seem surprising that nobody knows what the original village was called – it has been lost in the mists of time and doesn’t feature in the Domesday Book. By the 1400s, our village had a name: Towan Blystra, where towan means ‘sand dune’ and blystra means ‘blown’ in the ancient Cornish language. Some things don’t change – our fierce winds still blow the sand around the beaches in winter, piling it up in odd places. The downside of the village’s site was that the north easterly winds left anchored boats dangerously exposed, and the year 1439 saw locals asking Edmund Lacey, the Bishop of Exeter, for permission and funds to build a harbour… in other words a new quay. The name stuck and the rest is history, although the current harbour dates back to the 1830s. Our town remained a hard working fishing village for centuries, famous for its pilchards, and the first ever British census in 1801 recorded just 1300 inhabitants. Newquay parish was born in 1882, but it was the arrival of the railway that sealed the town as a popular tourist destination from 1876 onwards. With the trains came fast growth: a few big hotels sprang up at the end of the 1800s, plus three new churches shortly afterwards. Post-World War One, development continued apace with more new homes, hotels, and roads like the country lane to St Columb Minor lined with new houses. Since the 1950s we’ve seen more or less continual development: the Doublestiles estate, the Lewarne Estate, all points to Porth and more. Recent developments include the Duchy of Cornwall estate at Tregunnel Hill and Nansledan on the Quintrell Road. Tiny villages like Trencreek, Porth and St Columb Minor are now suburbs of Newquay, and some say we’ll eventually expand our borders as far as Quintrell Downs, three miles from the town centre. Newquay’s insignia features four pilchards. Our motto is ‘Ro An Mor’, Cornish for ‘from the sea’. But the pilchards have been over-fished and there are very few left. A handful of traditional fishing boats still go out in search of local crabs and lobsters. Our fishing heritage has been replaced by tourism and water sports, and our town is thriving once again. Will we get a Spaceport license? It remains to be seen whether we’ll ever get a Spaceport license. The legislation has been delayed, but the bid has been supported by Cornwall Council and Cornwall & Isles of Scilly Local Enterprise Partnership, so you never know. Watch this space, pun intended!